H740-SH LEVEL II- MID RIDE [H740-SH] - $121.42 : Don Hume Leathergoods, Simply the Best! LEVEL TWO SECURITY - AUTOMATICSThe H740-SH features the low profile thumb break with wrap around front safety strap, metal reinforced belt loop with tension screw, security blocks, closed bottom. The partially open front is metal reinforced. 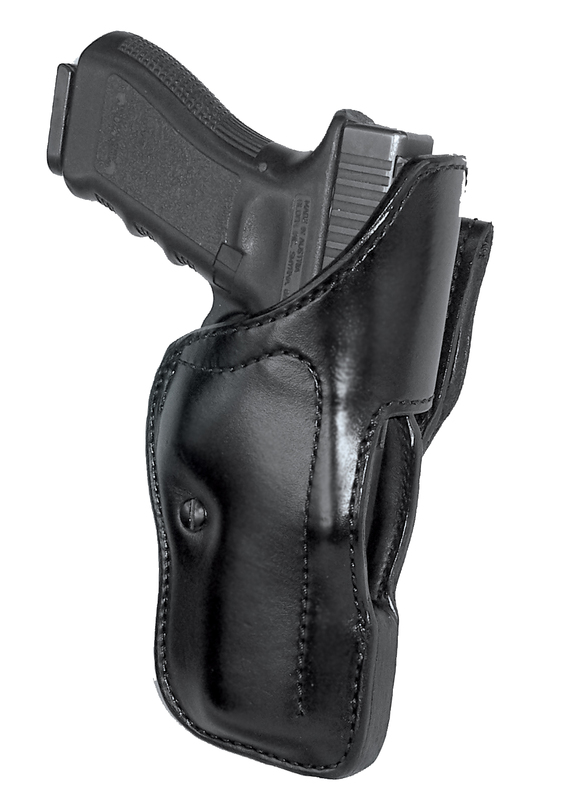 Holster is full leather lined and has a polyethylene layer to add strength.